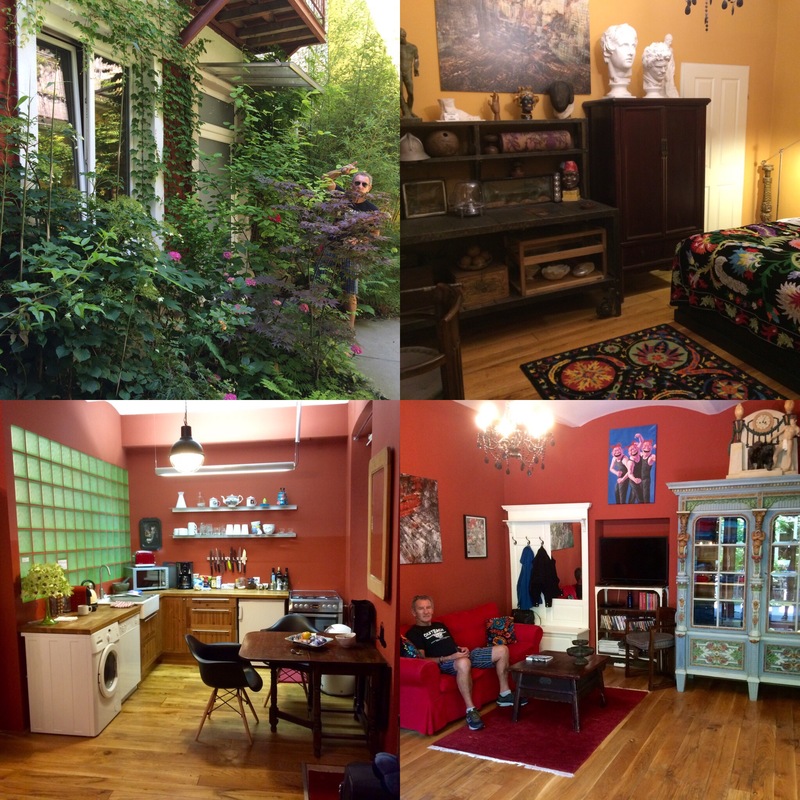 Our very colourful pad in Vienna …. We only had two full days in Vienna, we were about 8 metro stops from the city centre and our local metro stop was very close. 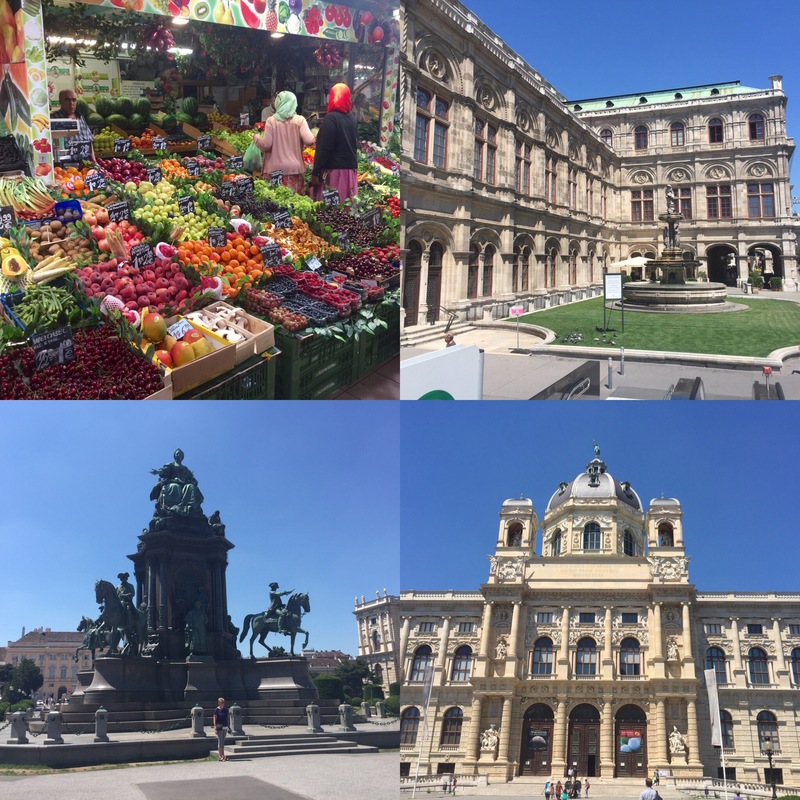 On the first day we went into the city and purchased a two day HOHO bus ticket, this also included a one off river boat trip and a walking tour around the Vienna Opera area. 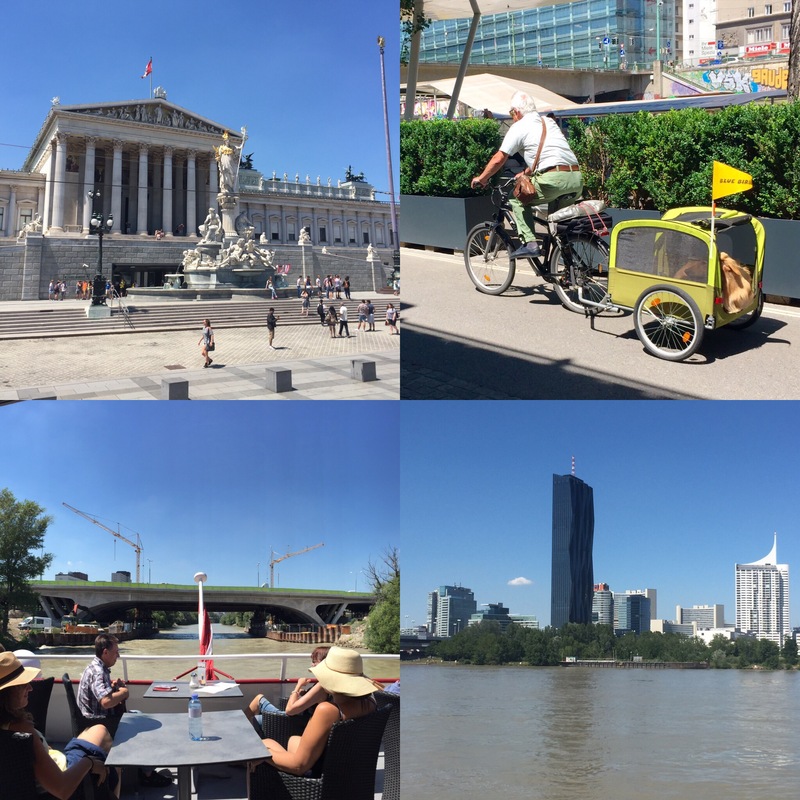 Vienna was having a hot spell and sitting up on top of the HOHO bus was not that great, so after doing a couple of loops we decided to go on the river cruise, found the correct wharf and onto a river boat we went. We only had what they called a half cruise ticket, no one asked for our ticket so we ended up staying onboard for the complete trip of 3 hours. We met a few fellow travellers on the river boat, Rita giving her German a good workout with two couples from Cologne, they did not even realise she was from Australia until she told them, they even said she had a Hamburg accent .. after the boat trip we walked around a bit more and after what turned into a fantastic if not very hot day we headed back to our apartment at around 8:00pm. 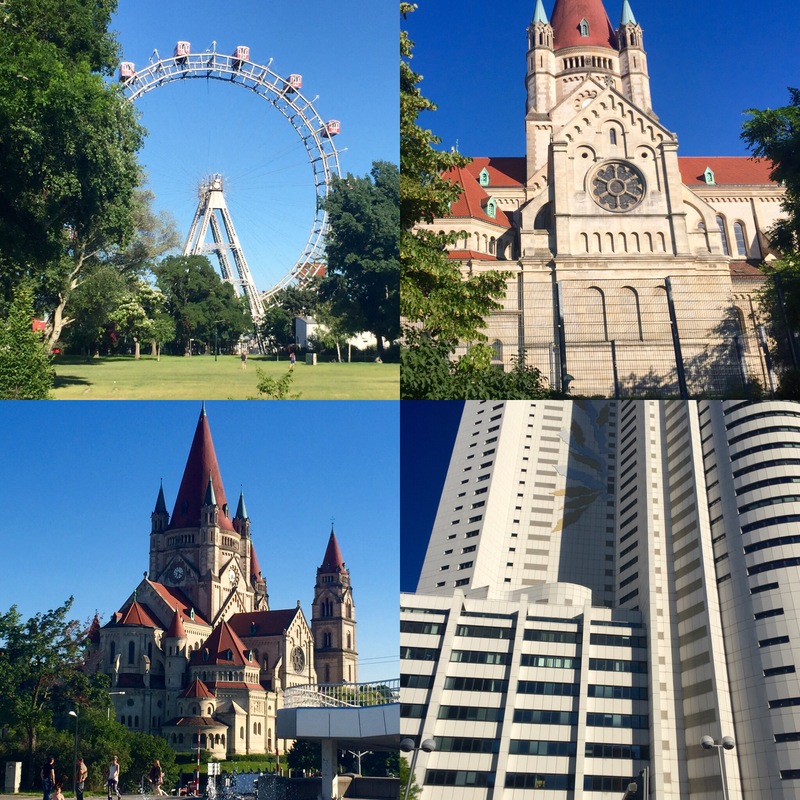 As with other large European cities Vienna has so much to see you really need more time here. 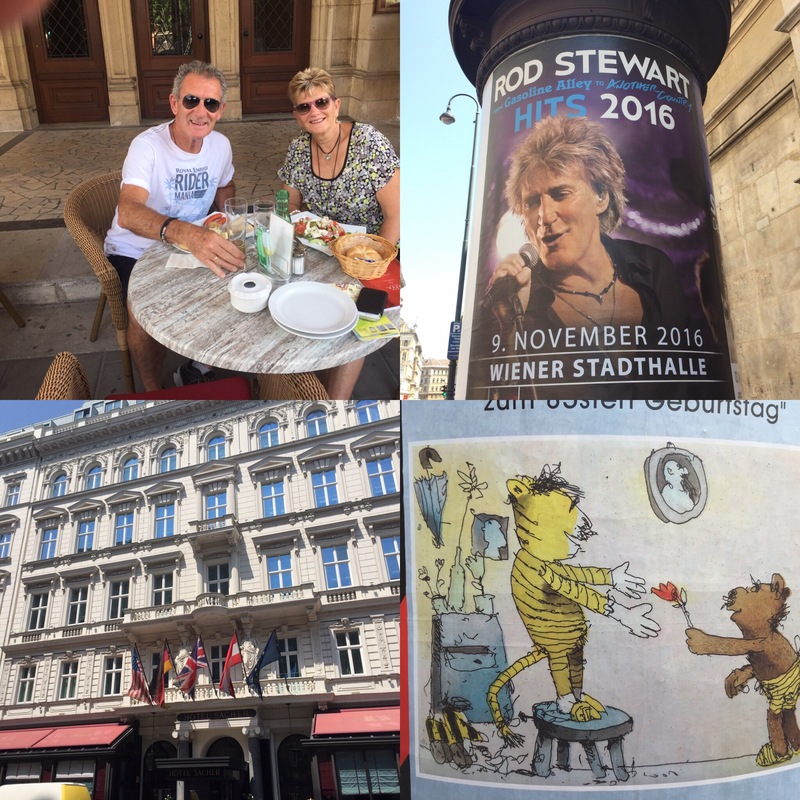 Next day we once again headed into the city, did a loop on the bus to a different parts of the city, had some lunch at the streets side cafe at the Vienna Opera house and went on one hour walking tour. The guide only had 3 guests as it was again extremely hot and we nearly cancelled out a couple of times whilst walking. Many people in central Vienna were just sitting around in the squares drinking and eating ice creams trying to keep cool. 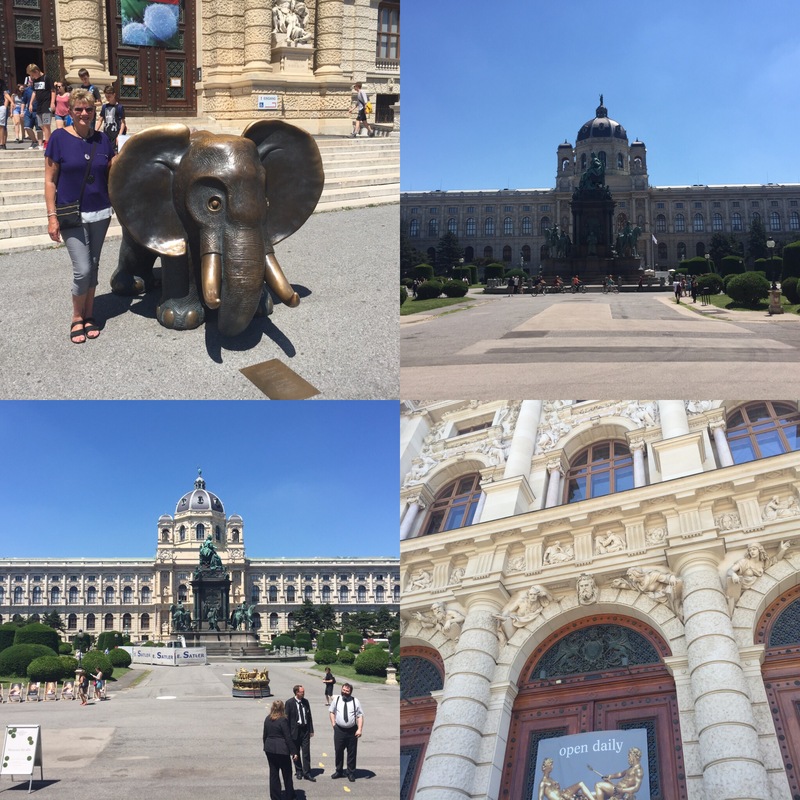 We finally arrived back at our pad around 7:00pm, drained from the heat, we packed ready to leave for Budapest early the next morning …..
Outside the Vienna National gallery & Museum …. it was feral hot that day !!! 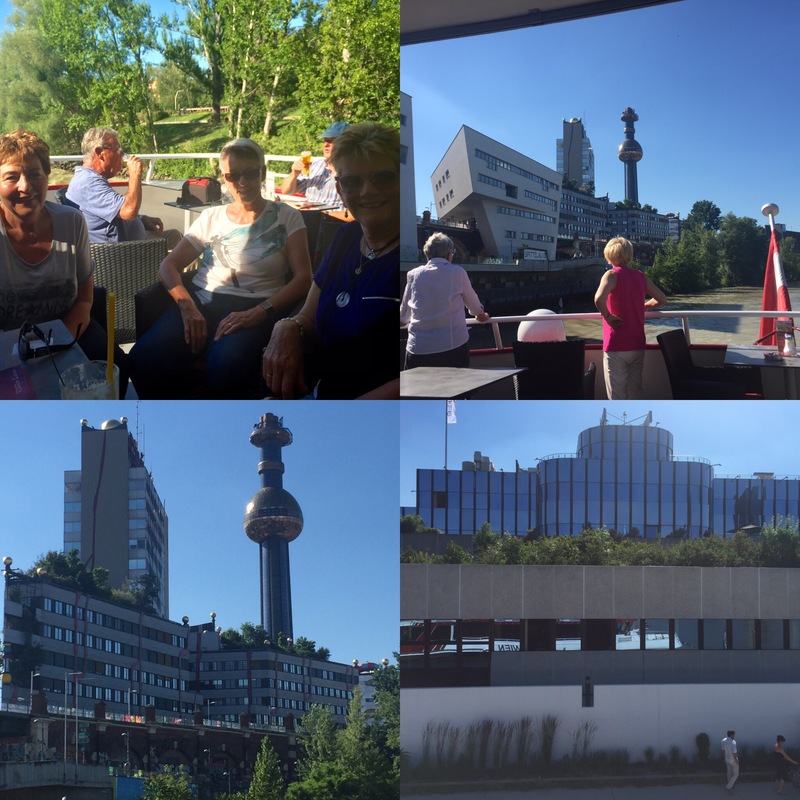 Vienna canal trip …. going for a ride, with my dog, thank you …. 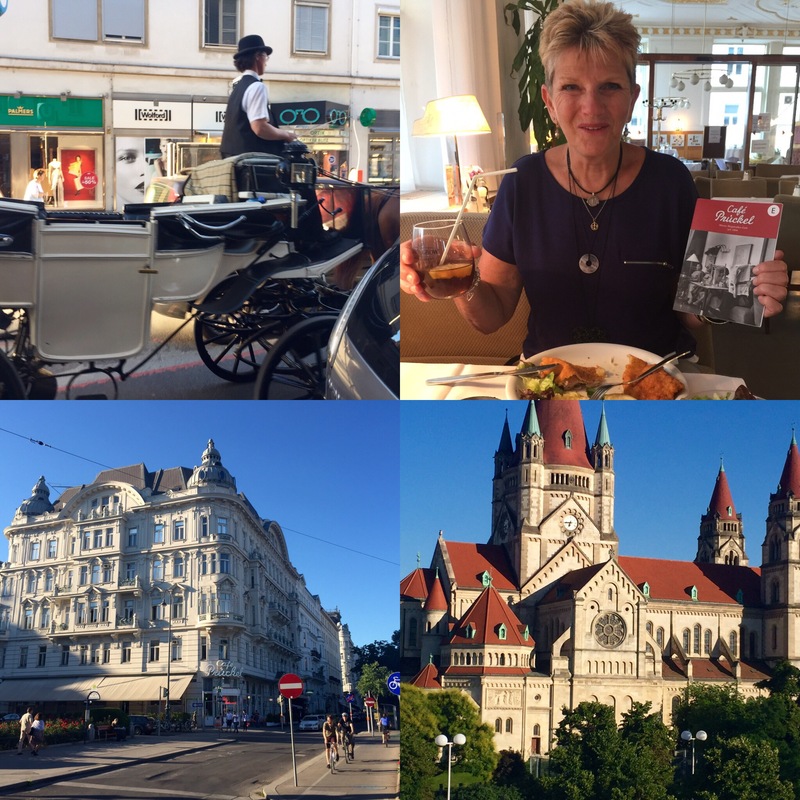 Vienna, the old & the new …..
Buildings in Vienna… beautiful carriages …. yep ! eating again …. 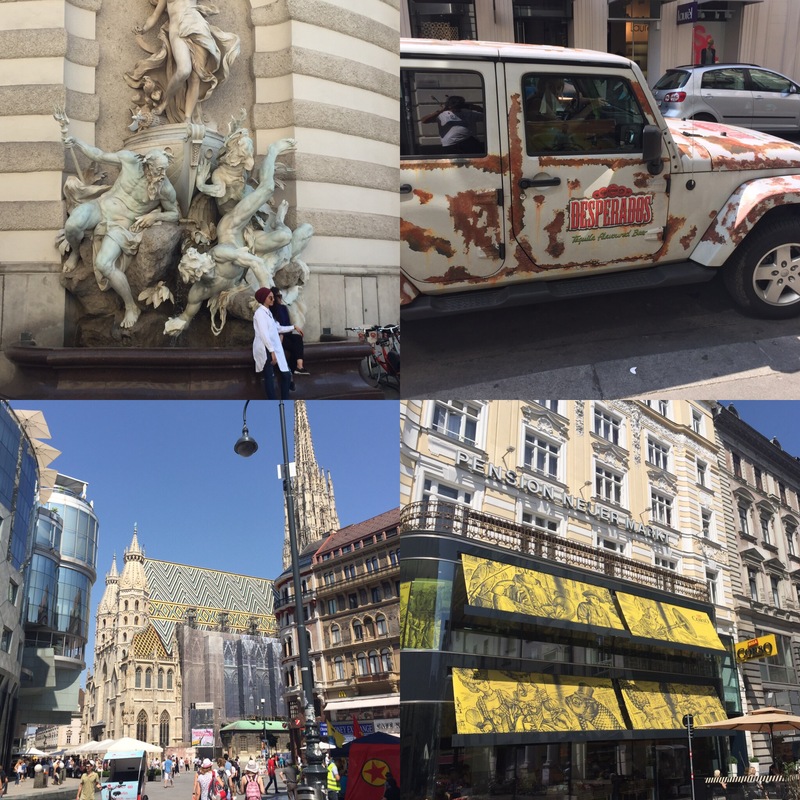 Vienna, well dressed ladies and men, the Paul Gaultier shop ,different …. 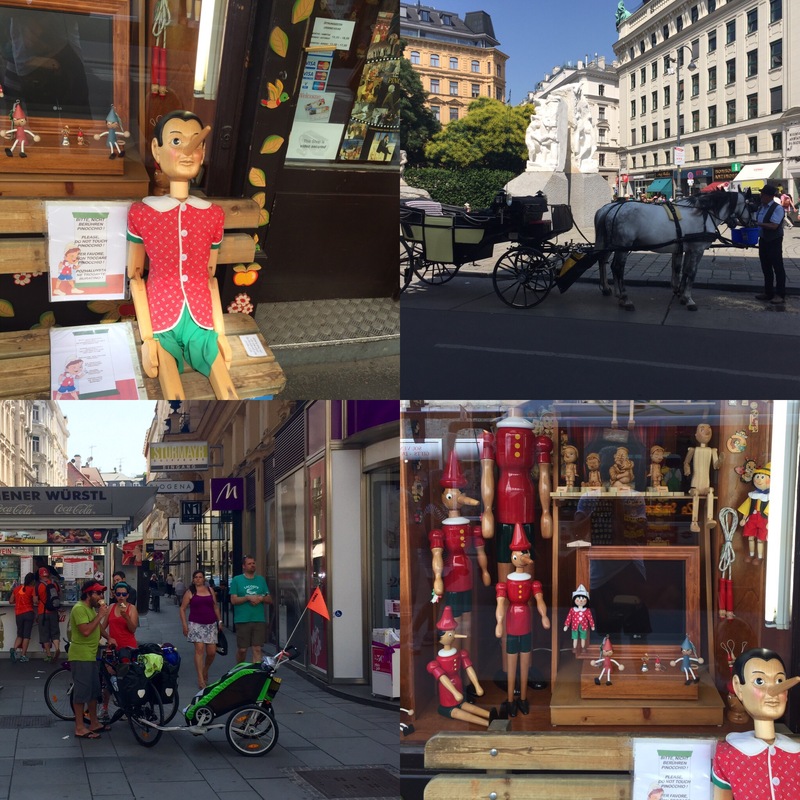 Seen in Vienna, pinocchio was there, carriage ride, family outing on & in their pushbikes …..
Next PostThe unbelievable city of Budapest ……..